Factory Direct solid color wrap available in Gloss, Ultra Gloss, Mattte and Shimmer.. Ultra Gloss wraps have a high gloss finish for extra vibrant colors. Rolls are available in cutter boxes, half reams and full ream sizes. Available in a wide range of sizes. The most popular size is 24"x417' which can wrap approximately 175 -200 gifts. 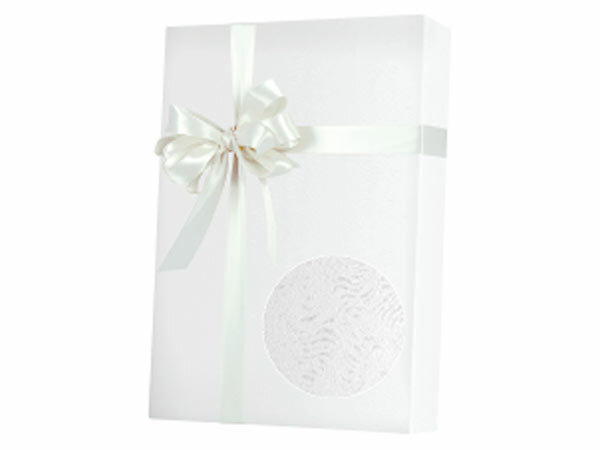 Smaller gift wrap rolls measuring 24"x100' are also available in cutter boxes. Each roll of gift wrap is packaged in a box for storing. Scissors are needed for cutting the paper. These cutter boxes will wrap approximately 40-50 gifts.